Shop, Dine, Relax at Changi Airport, Singapore | TSD Travels | TSD in Singapore | The Shopaholic Diaries - Indian Fashion, Shopping and Lifestyle Blog ! Hope you all are doing well. 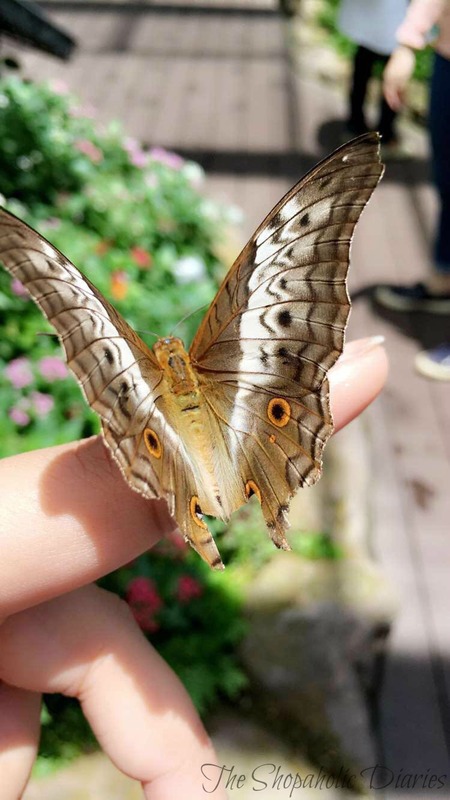 If you all have followed me on Instagram/Snapchat, you might have seen the numerous pictures I shared last month from my Singapore vacation. Well, finally I am sharing in detail about the places I explored in Singapore and what all I shopped. 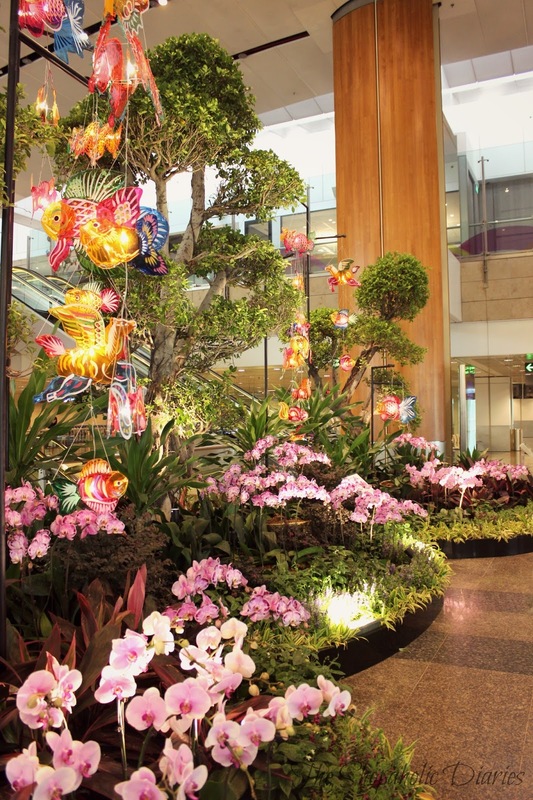 My first day in Singapore started with an in-length visit of the renowned Changi Airport, Singapore. Why you ask? Well, it's because the Changi Airport is a beautiful destination in itself that you would love to explore for hours long. 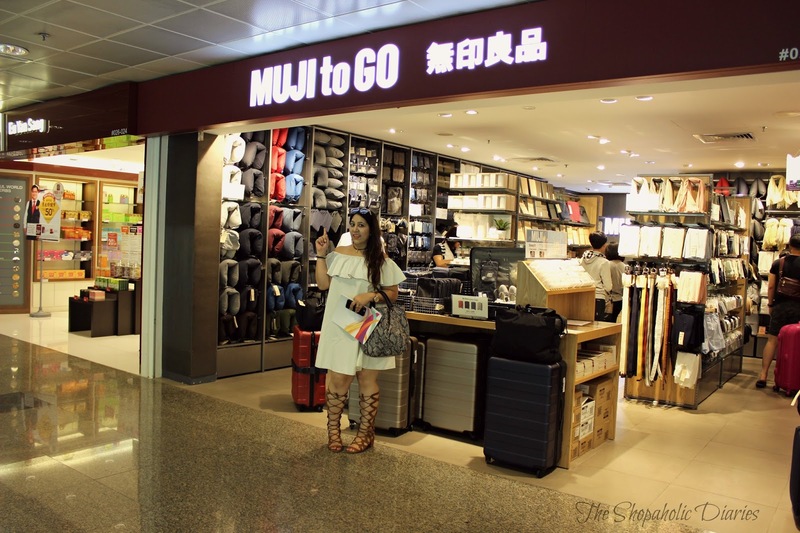 Infact, it's so cool and fun, that you might end up having more fun at the airport as compared to the other places in Singapore. Be warned though, this is going to be a lengthyyyy post! The place is like a mall or a theme park in itself with so many attractions for tourists that you'll need atleast 1 day to cover them all. 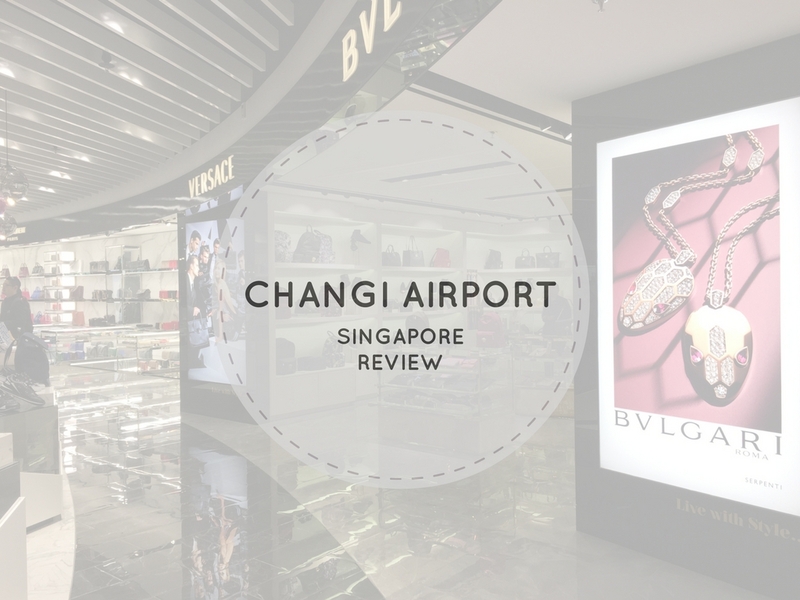 Whether you are a shopaholic like me, foodie or a traveller who loves to relax during a long layover or have some extra time to pass before your flight - Changi Airport will definitely keep you entertained with its exciting offerings. 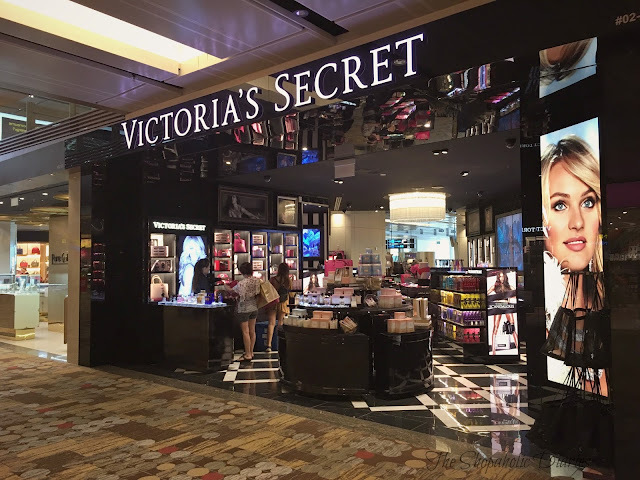 While, I didn't have an entire day for exploring the airport, I did end up spending half a day exploring the attractions at the airport and another few hours before my flight for shopping. To start with, the Changi Airport has three Terminals with a fourth one coming soon, that promises to redefine our travel experiences. 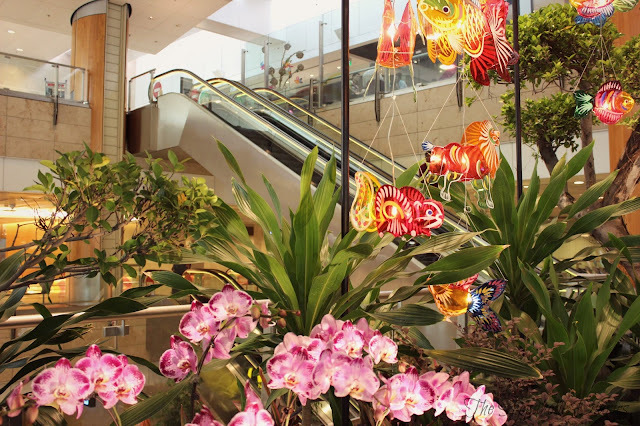 The three terminals are easily accessible by free a Sky train service which operates from 5.00am to 2.30am, at both the transit and public areas. 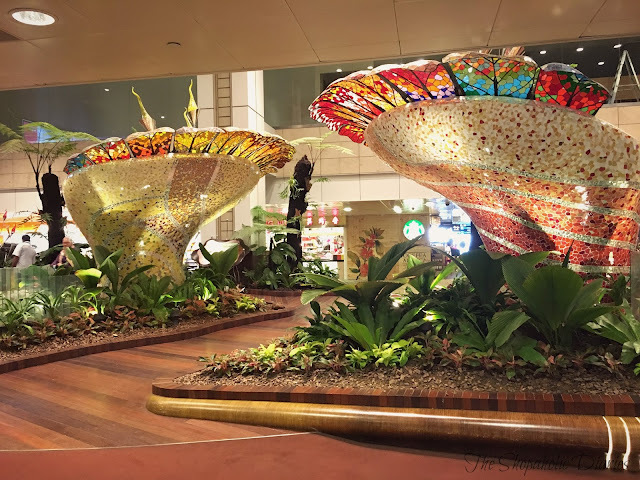 I got to explore all the three terminals and covered many major attractions of the airport like this breathtaking Orchid garden at the Terminal 2 which boasts of 700 beautiful orchids of 30 species grouped by their various colours and shapes, representing the 4 elements of nature – Earth, Water, Fire and Air. 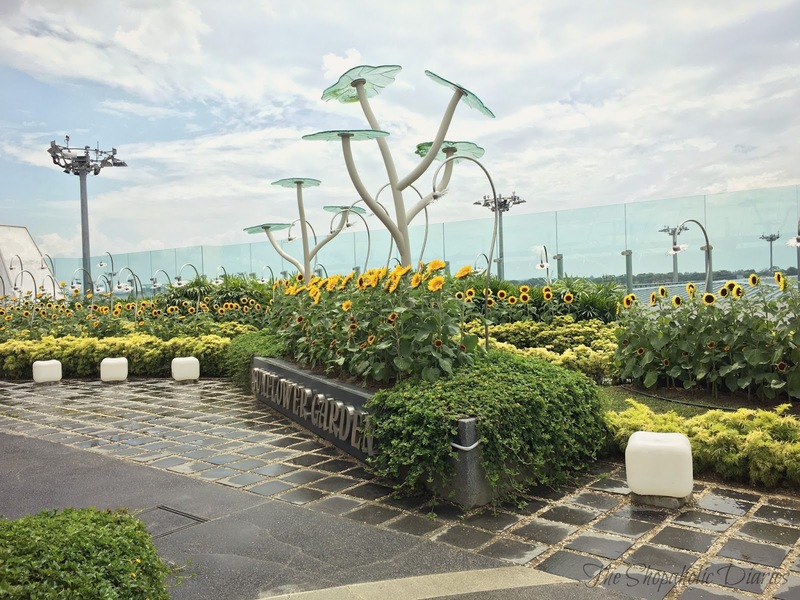 Changi Airport is definitely a blessing for nature lovers, with this captivating Sunflower Garden at Terminal 2, which has more than 500 cheerful yellow flowers to brighten up any gloomy day and also a perfect spot for those Instagram-worthy selfies. The Sunflower Garden at Changi Airport also offers an amazing view of the runway and aircraft parking bays from its rooftop. The first Butterfly Garden at an airport ever at the Terminal 3 has more than 1,000 tropical butterflies from as many as 40 species. 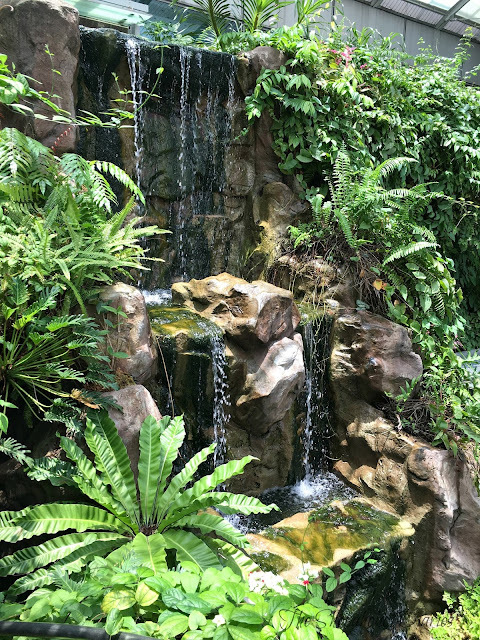 You can also see their breeding and feeding at close range in this breathtaking garden. With so many beautiful attractions and pockets of lush greenery spread around all the terminals, I definitely felt like I was in a different place altogether which does not look or feel like any typical airport. 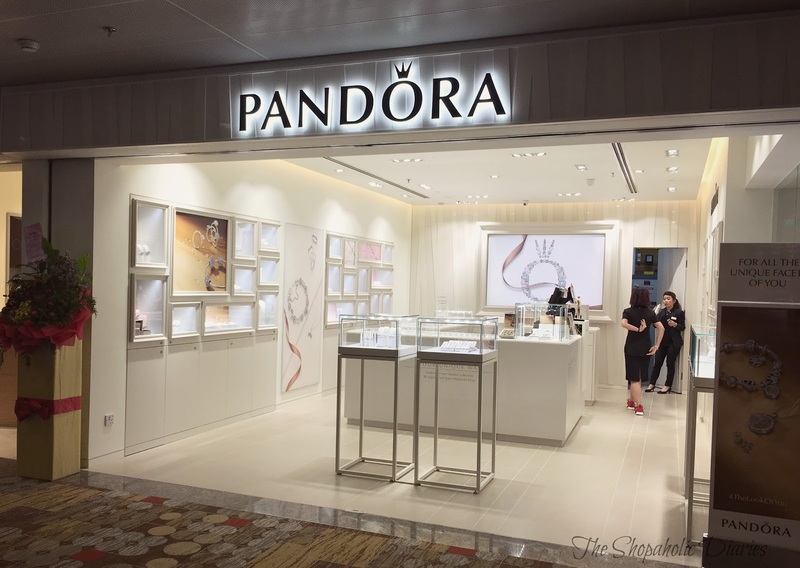 Now, if I come towards the Shopping part, well - Changi Airport is undoubtedly a haven for shopaholics. With numerous international brands and Duty Free favourites like Cosmetics & Perfumes by Shilla, Liquor & Tobacco by DFS and Electronics & Computers by Sprint-Cass, you'll be spoilt for choice while shopping at the airport. 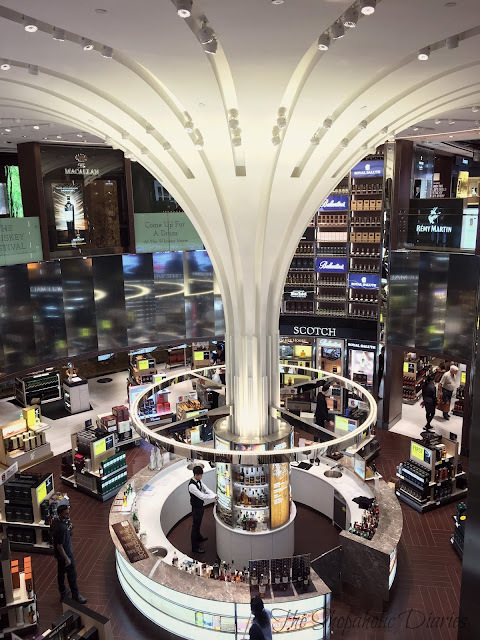 Duty Free shopping is definitely the best part, as they offer prices that are cheaper to anywhere else in Singapore. 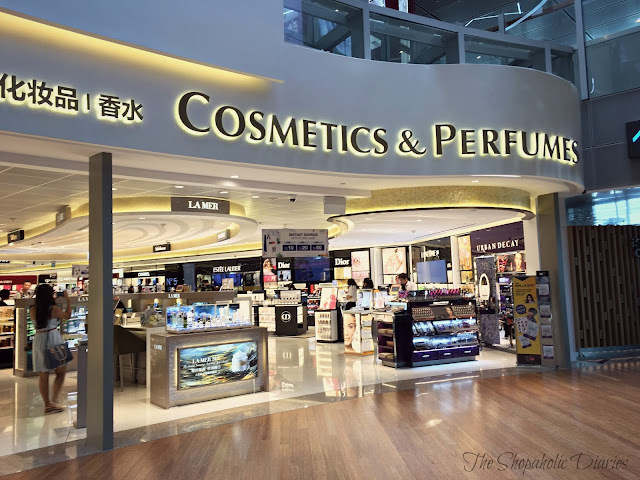 I shopped for perfumes and cosmetics from the Shilla which offers an array of international brands as well as Korean brands that every cosmetic lover looks for the first thing while shopping at any airport. 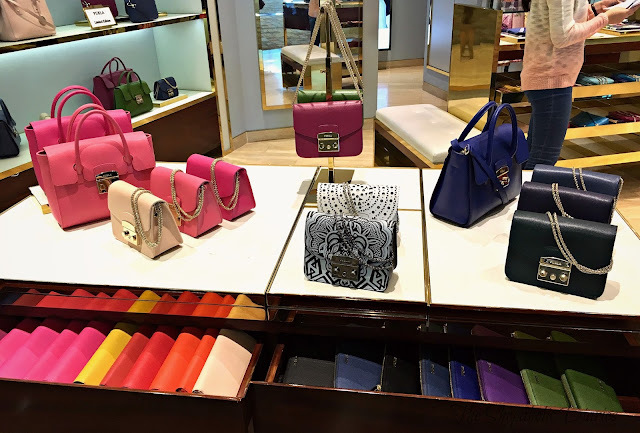 I will be sharing my Singapore shopping separately in a post, so do stay tuned for the same. 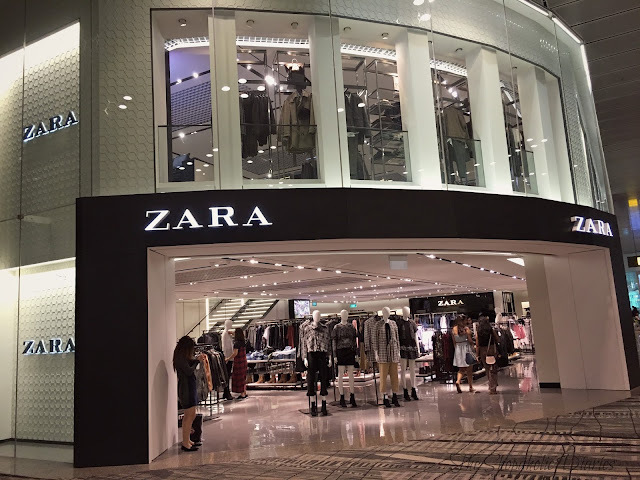 Whether you want to shop for luxury brands like FURLA and MICHAEL KORS, or high-street brands like Charles & Keith and ZARA, the airport has shops across all the terminals, so that you can avail the best offers with ease. Changi Airport also has this exclusive shopping promotion running from 4th May to 31st October ie. Be a Changi Millionaire - that will give you a chance to win S$1,000,000 by simply spending a minimum of $50 in a single receipt. 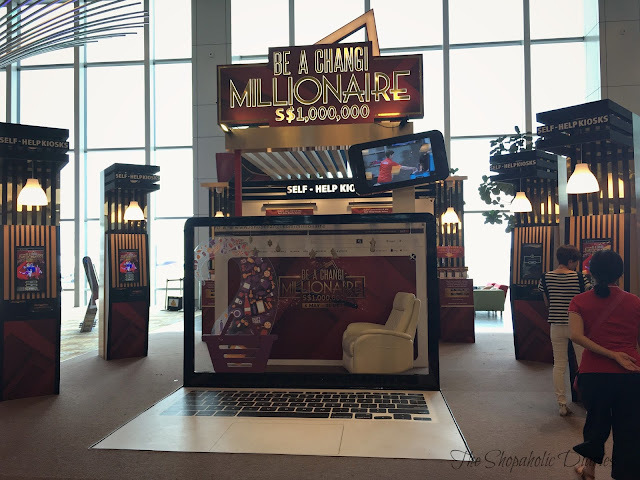 This promotion is on till 31st October, so if you are visiting Changi Airport, don't forget to enter this exciting promotion. 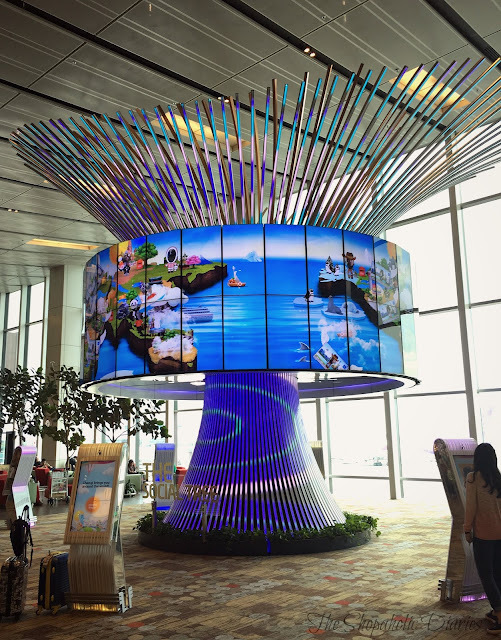 Changi Airport also has this very interesting Social Tree, which lets you click your selfies and have it displayed on their social wall that features the major attractions of Singapore. Now, you might be wondering why I haven't covered any dining options being the foodie that I am. Well, it was simply because we were running out of time, but I did manage to have a meal from Starbucks before boarding my flight. 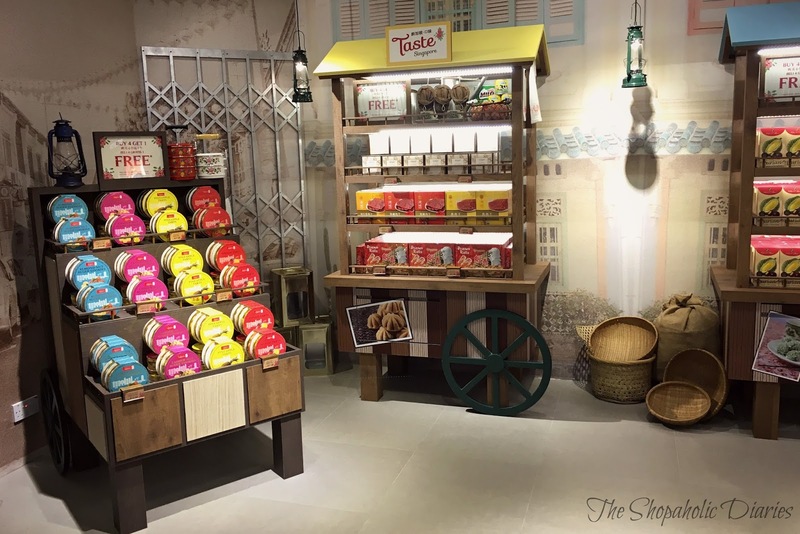 However, if you are looking to have a hearty meal or want to have a simple cup of coffee, Changi Airport offers a plethora of dining options like Bricco Cafe, Hello Kitty Orchird Garden, KOI Express, Lerk Thai etc. 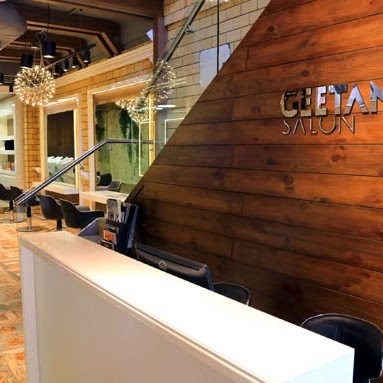 along with the usual restaurants like KFC, Burger King, Krispy Kreme - thus providing options for different budgets and moods. While you're still at the airport, don't forget to visit the iconic Long Bar by RAFFLES hotel which is located at the Terminal 3 at the Wines and Spirits Duplex store. 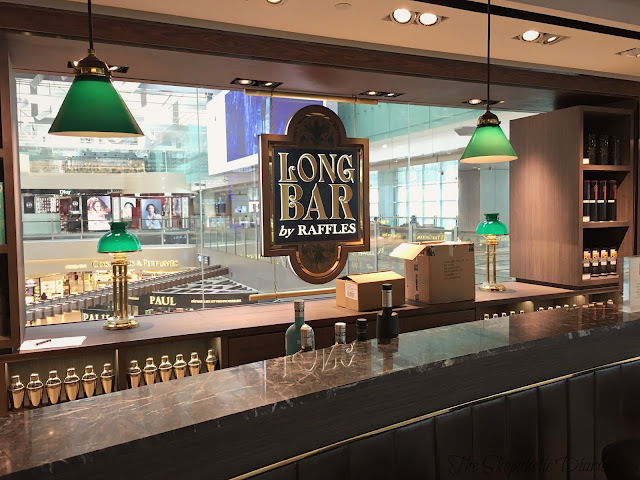 You should definitely sample The Long Bar's famed cocktail, the Singapore Sling at the bar. 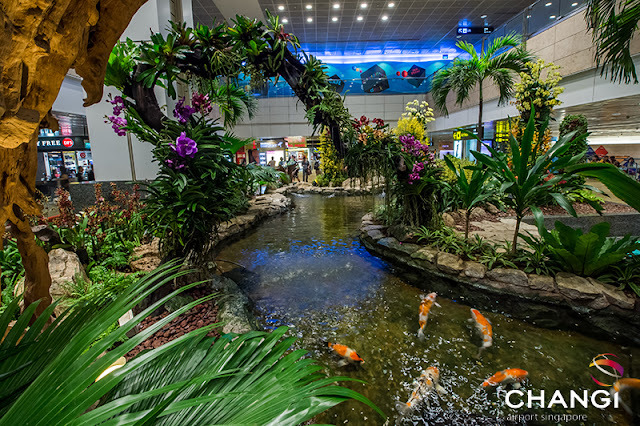 Did you know that Changi was voted the best airport in the world for sleeping? Well, after all the shopping and dining, visit one of their Free-to-use rest areas located at all the terminals and catch a short nap or unwind before your flight. At the Terminal 1, is located a lavish swimming pool with a jacuzzi, poolside bar and shower facilities for those who want to relax and enjoy in style while waiting for their next flight. 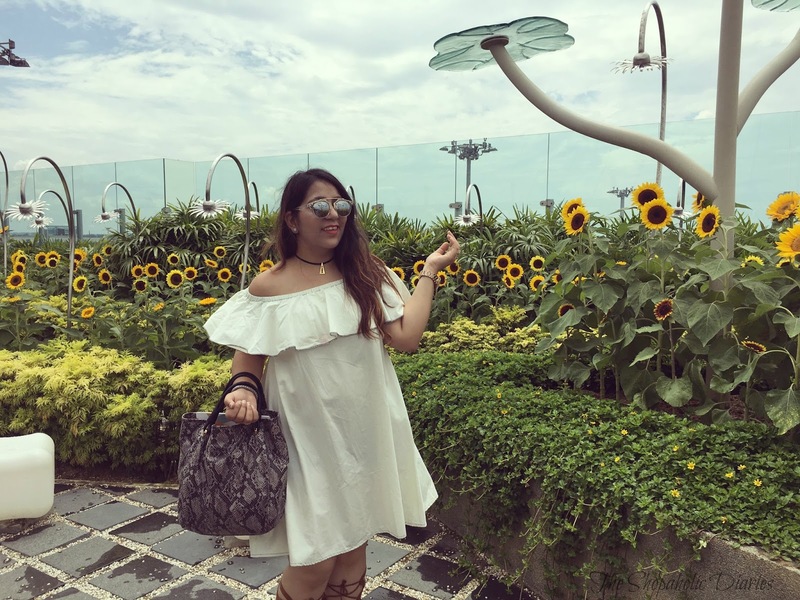 Free Singapore Tour! Yes Yes.. You read it right. 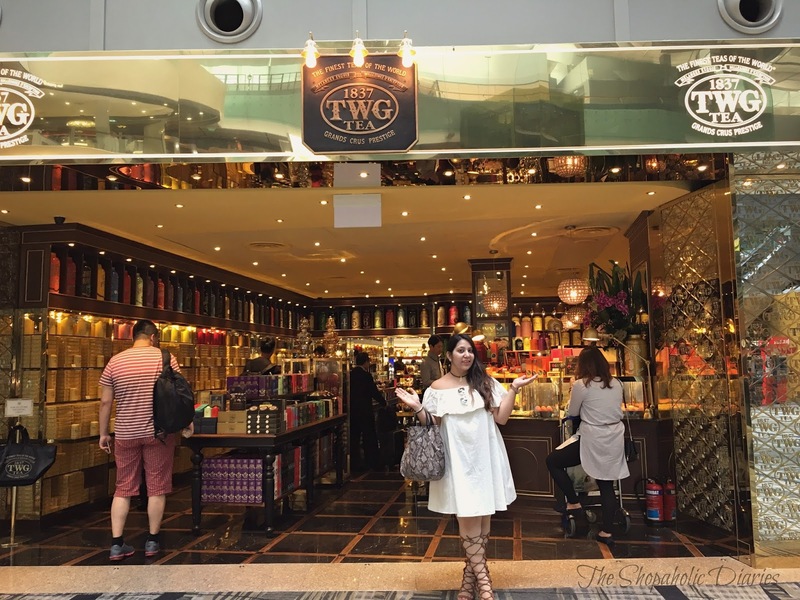 If you're a transit passenger, and have at least 5.5 hours (or at least 6 hours for City Sights Tour) to spare till your connecting flight, you can avail a free 2.5 hours guided tour with 2 short stopovers organized by the Changi Airport every day. Changi Airport also boasts of many other facilities like Entertainment Deck, Movie theaters, Airline lounges, Wifi Zone and many others that I couldn't fully explore because of the limited time that I had. But I did enjoy a mini foot massage at this free massage station that is installed at all the terminals before my flight, rejuvenating myself after a tiring day. My visit to the Changi Airport left me totally impressed and convinced about why it's known as one of the Best Airports in the world. There's nothing that this excellent airport doesn't offer. Whether you are at the Changi for a layover or visiting Singapore, a tour to the Changi Airport and its many attractions is a must, and totally memorable.